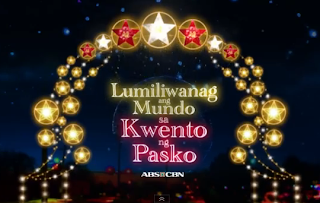 Two months to go before Christmas and everybody are so excited, that's why ABS-CBN Kapamilya Network decided to show their Christmas Station ID for 2012. The full version of ABS-CBN Christmas Station ID 2012 started to air Wednesday, October 17, 2012. The full version of the music video includes all the artists who joined the recording of their latest Christmas station id 2012 theme, "Ang Kwento ng Pasko." The embedded full music video of the ABS-CBN Christmas Station ID 2012 can be view here. For the meantime, if you like the video above, please share it to your friends on Facebook, Twitter and Google+. Comments or suggestions about "Full Version of ABS-CBN Christmas Station ID 2012" is important to us, you may share it by using the comment box below.